Paulist Fr. Broderick "Rick" Walsh has served since 2010 at the Paulist Center in Boston. He has been superior of the Paulist Fathers in that city since 2014. Fr. Rick also serves as a chaplain at the Massachusetts State House and is one of the Paulist Fathers' associate vocation directors. He is a native of Massachusetts and earned his bachelor's degree at St. John's Seminary College. Fr. Rick made his first promises to the Paulist Fathers on August 6, 1988, and his final promises on January 25, 1992. He was ordained a priest on May 9, 1992, by Archbishop John Roach of the Archdiocese of St. Paul and Minneapolis at our mother church, the Church of St. Paul the Apostle in New York City. Fr. 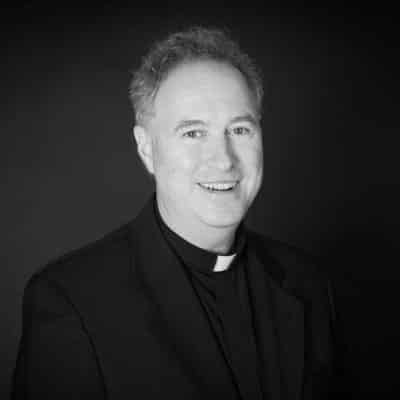 Rick has served as associate pastor of St. Austin Church in Austin, TX (1992 to 1995); Immaculate Conception Church in Knoxville, TN (1995 to 2001); St. Philip Neri Church in Portland, OR (2001 to 2005); the Church of St. Paul the Apostle in New York City (2005 to 2007); and St. Peter Church in Toronto (2007 to 2009). In May 2017, Fr. Rick celebrated the 25th anniversary of his ordination. See photos from Fr. Rick's life and ministry at his Pinterest board. To reach Fr. Rick, please call (617) 948-2424 or email him. Paulist Fr. 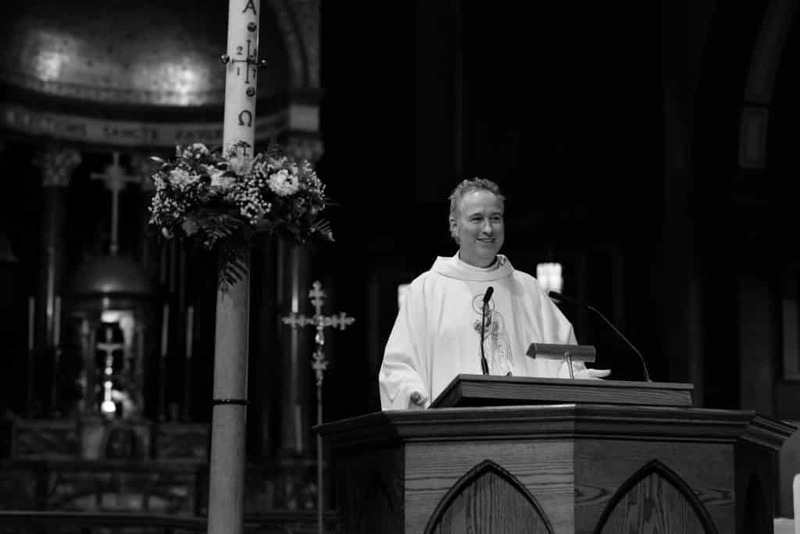 Rick Walsh preaching the homily on May 18, 2017, during a special Mass honoring the Paulist Fathers celebrating milestone ordination anniversaries in 2017. The Mass was held at our mother church, the Church of St. Paul the Apostle in New York City. In 2017, Fr. Rick celebrated the 25th anniversary of his ordination.